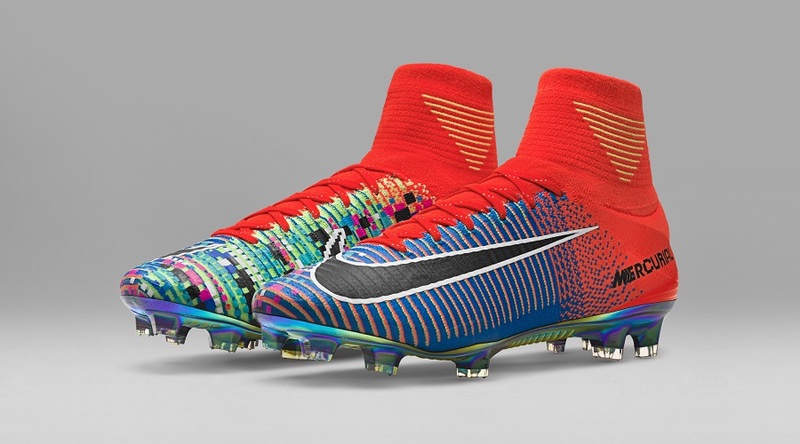 Home / Nike / Nike Mercurial X EA Sports Released Today! Nike Mercurial X EA Sports Released Today! 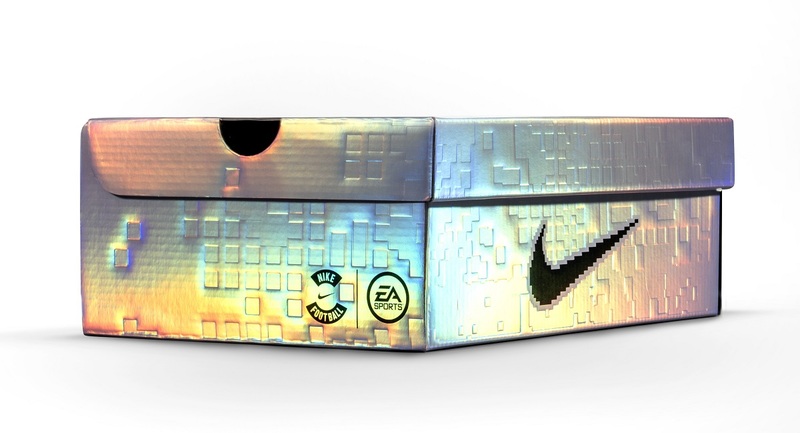 If you want to be one of the 1,500 to pick up a pair of the special edition collaboration Nike Mercurial X EA Sports, today is the day! Given the popularity of the quirky pixelated, 16-bit graphic design, there is no way that these hang around through the day. Find them available at soccer.com right now! The MERCURIAL X EA SPORTS features all the performance you’d expect from the Mercurial Superfly combined with authentic EA Sports iconography across the design, highlighting the progression from 16-bit graphics on the original ‘94 game to today’s high definition output. In terms of color, a florescent orange is used, inspired by the video game logo and that logo actually appears on the sockliner, lace and heel. 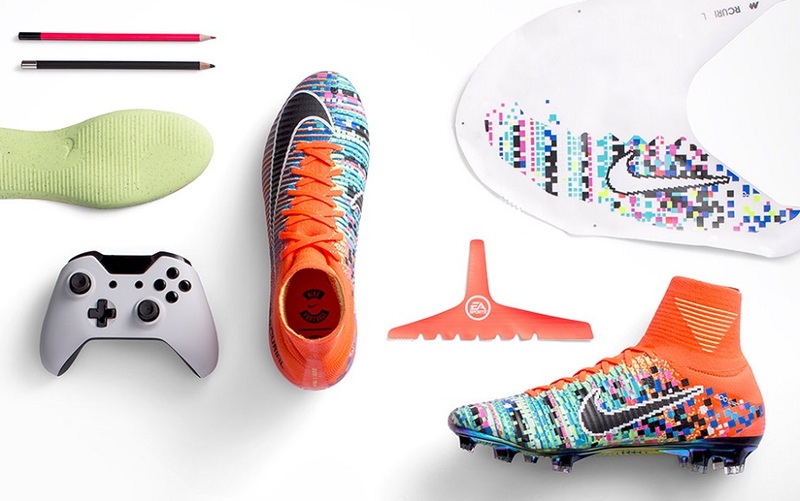 A special Mercurial logo was designed just for this boot and its accompanying shoebox and bag. Much like the upper, the logo also transitions from high definition to 16-bit. A golden thread through the laces and an iridescent plate completes the design.